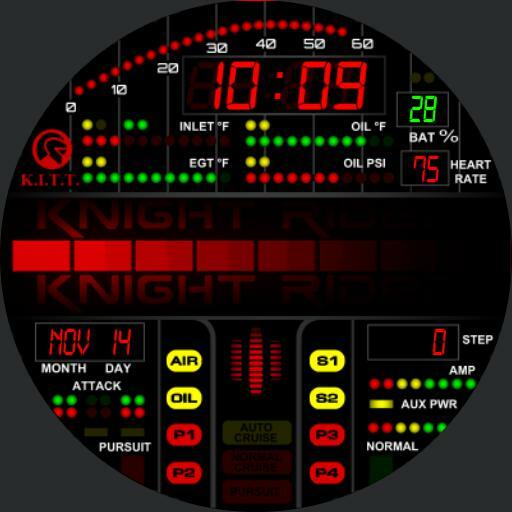 Full animated lights and scanner K. I.T.T Knight Rider concept. From 80s TV show. Watch face designed by Rene Diaz Ramirez and adapted for Android wear.